Nestled between Riyadh's business and shopping districts, Novotel Suites Riyadh Dyar hotel was designed with both holiday makers and business guests in mind. Providing 4-star comfort, the hotel is within walking distance of many major attractions. 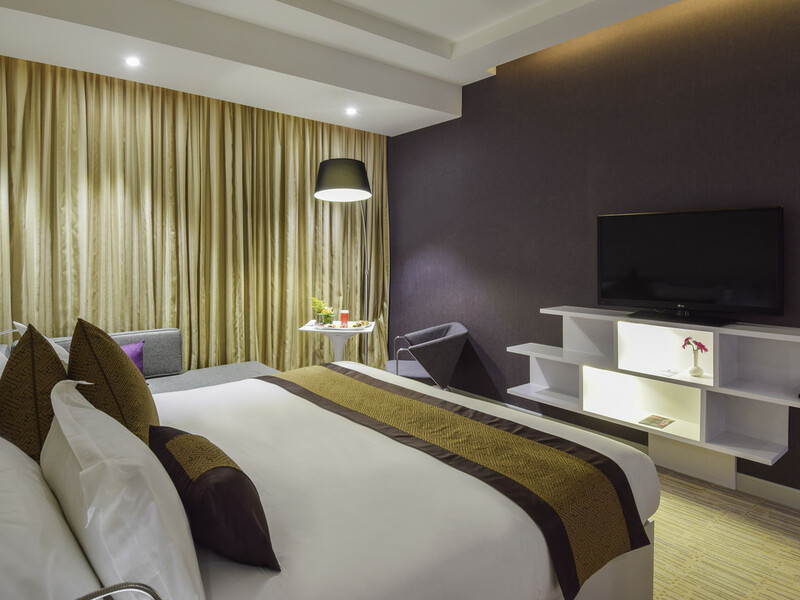 With the city on your door step, prepare for an exciting stay at Novotel Suites. The Dunes Restaurant offers breakfast and dinner in a unique open space located adjacent to the hotel lobby. With glass windows all around, modern decor and views onto the Kingdom Tower, you really can escape from your busy day whilst dining here.